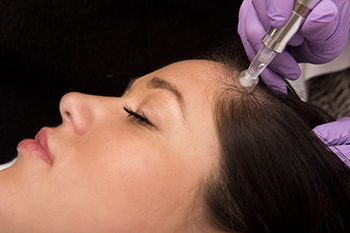 Non-invasive mesotherapy is a comprehensive alternative to traditional mesotherapy where an active substance is added to the subcutaneous tissue through several micro needle punctures, instead of injecting it. During non-invasive mesotherapy, active substances (different gel types) are inserted in the tissue using various methods. The treatment has a comfortable relaxing effect, and afterwards the client experiences feelings similar to those following a good massage. The client feels both fresh and relaxed, because the blood circulation is stimulated and oxygen and nutrients have been transported to their cells. They literally feel like their energy levels have been restored. Non-invasive mesotherapy is an effective and painless method for treating stretch marks, wrinkles and for firming the skin. 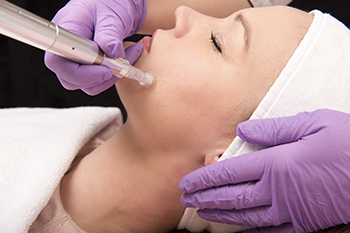 Which areas are treated with non-invasive mesotherapy? 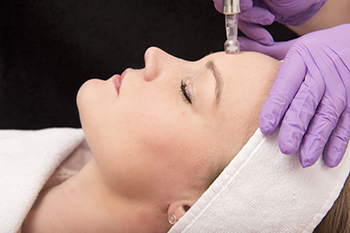 How does non-invasive mesotherapy affect wrinkles and ageing skin? 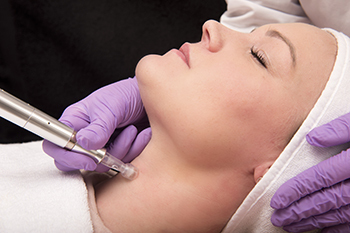 What are the benefits of non-invasive mesotherapy? Treatment course and number of treatments? 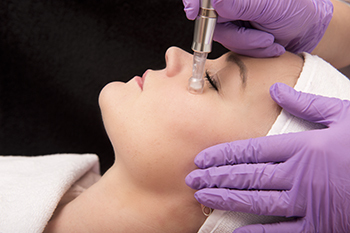 Treatments are carried out with a break of 7-10 days in between, depending on the skin’s level of sensitivity. Maintenance every 3-6 months with a simple treatment. Who is this type of treatment for? 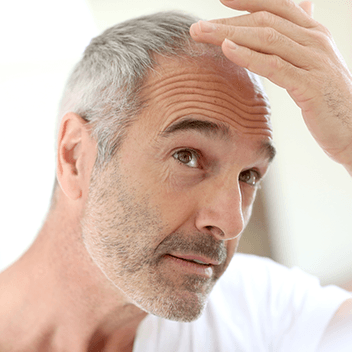 This treatment is suitable for both men and women without health problems. Before treatment, the client will be asked to book a short consultation with a therapist about potential contraindications.